The Best Hotels Use Us! Top Tour & Travel Operators! Bookings and payments from across the world have been made easier and more efficient with dual currency (KES/USD) processing and the introduction of American Express payments. 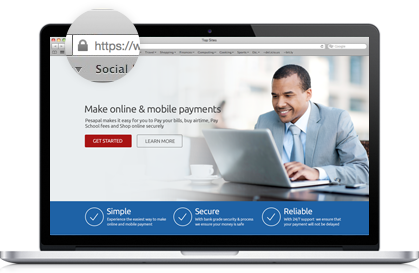 Whether it's a subscription, bill payment or paid signups, we help service and utility providers to collect their monthly payments efficiently online and via mobile phones. Over 200+ online stores can now provide their customers ability to pay online, and have their items delivered conveniently, offering both Mobile money and card payments through a secure payment experience. Enjoy a secure payment experience from any channel of your choice covered with bank-level security measures that are put in place, and at no extra cost to you.